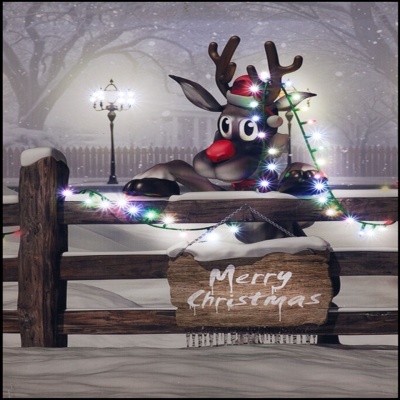 Snowtime LED Christmas Spirit Wall Art Reindeer Canvas provides a multicolour LED illuminated novelty picture suitable to be wall hung or placed on a mantle-piece. Enjoyed as a delightful Christmas themed centrepiece, this decoration wall canvas offers something to bring a smile. Battery operated for ease of placement, requiring no mains wiring or cables to be located. Low energy multicolour LEDs ensure battery life is maintained so battery changing is unlikely during a single season of use. Canvas can be easily switched On/Off from switch placed on canvas side ensuring wall art removal is not required.